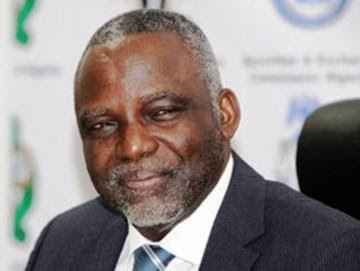 Harsh operational environment and regulatory challenges are the chief reasons why Nigeria’s power sector is not attractive to investors, former Power Minister Barth Nnaji, said yesterday. He said the Federal Government had not addressed major issues that would guarantee return on investment, citing non cost-reflective tariff as one. He said a power summit in Copenhagen, which attracted key industry operators and investors from across the world, the participants at a special session on Nigeria, said they were not willing to make investment in Nigeria’s power sector, citing several challenges. According to Nnaji, among the fears expressed by the international investors include lack of cost reflective tariff, gas supply constraints, poor transmission network, non-credit worthiness of distribution companies (DisCos) over leveraged power assets, value chain misalignment and lack of will to enforce agreements. Evaluating the issues, the former minister said many projects had been stalled due to finance constraints and tariff issues. He said tariff must reflect currency movement. “There must be attachment of tariff to currency movements and adjustments must be done, and tariff review will help DisCos to recover costs and pay for gas,” he said. He also noted that lack of industry deregulation and absence of proper legislation had discouraged investment because it is only deregulation that would allow investors to consider investment in gas production and transportation. Nnaji said government does not have the funds to put the transmission network in proper shape. He advised government to consider concessioning the transmission network, which he said should be broken into segments but properly interconnected, adding that the DisCos were facing serious challenges because the technical aspect of the system was still bad leading to 50 per cent of inefficiency in the sector. According to him, the investors in the distribution sector borrowed money to buy the assets but did not invest in other supporting infrastructure to make the chain function effectively. “We can reduce losses by investing in technical areas and also there is lack of commercial knowledge among government functionaries on how to do agreement, and again the country lacks the will to enforce agreements,” he said. The former Minister of Power also called for the overhaul of the country’s transmission network to address energy leakages. The overhaul would help to boost effective energy evacuation to distribution companies. According to him, transmission network is a major challenge as wheeling power out to distribution companies remains a constraint. He urged the government to ensure stable transmission infrastructure before expanding the national electricity generation capacity to 10,000 megawatts (mw). Building generation capacity on weak transmission infrastructure would result in total collapse or destruction of the whole structure. Currently, power generation oscillates between 2,500Mw and 3,500Mw, he said, adding that most of the generated power could not be evacuated due to weak transmission lines.